My grandma is a snow bird. She lives in Buffalo in the summer and Tampa in the winter. Every six months my grandma, mother, and I drive from one to the other. And every time we stop in Glen Burnie to visit my youngest brother, Steven, and his wife, Audra. This visit they took us to Mutiny Bar. Yes, just as the name suggests, it is a pirate bar. There is a nautical theme and pirate signs on the walls. Surprisingly enough, the staff was not wearing pirate costumes. 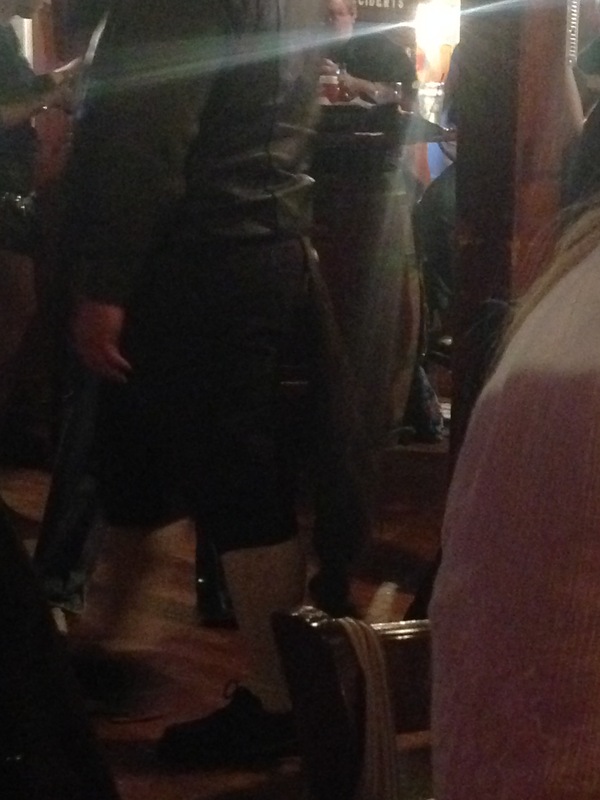 However, a good number of patrons were (including a man with a horse tail pinned to the back of his pants). Hard to see but yes, that is a tail on that man. My brother and his wife love the food and the specialty cocktails, so we headed there for dinner. 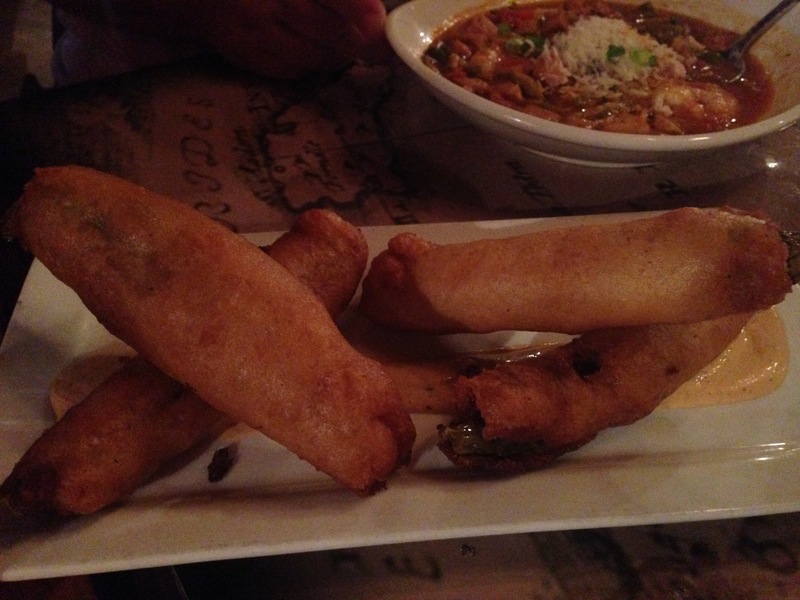 We started with an appetizer of fried pickles and I was sold. 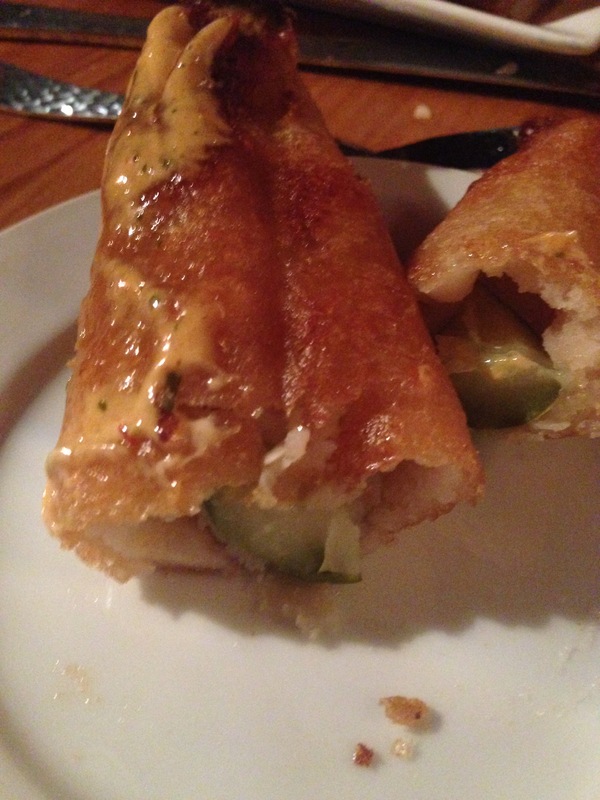 They were so good and came with a super yummy dipping sauce. 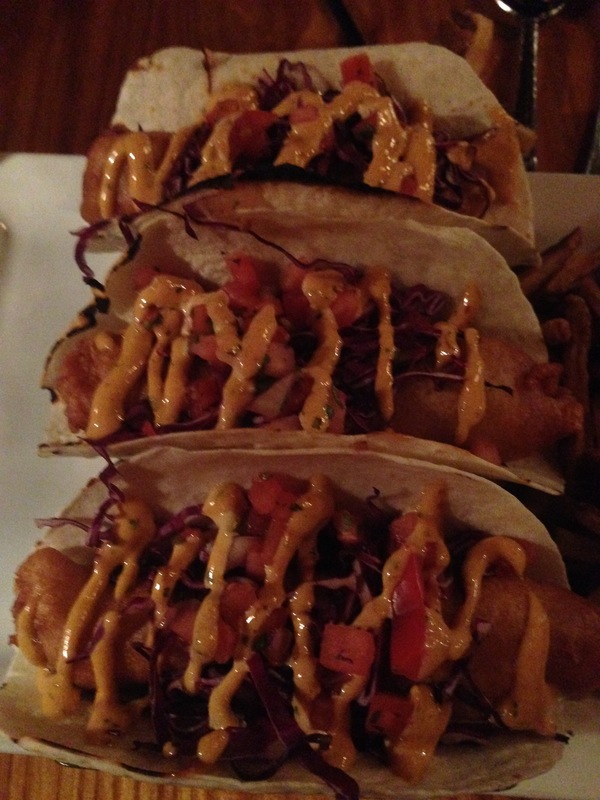 I had the fish tacos, because Audra had insisted they were the best she’s ever had. As a huge fan of the fish tacos in San Diego (Pacific Beach having my favorite), I was ready for the best fish taco challenge. They did not disappoint. I wouldn’t say they were better than the tacos in California, but I wouldn’t say they weren’t as good either. 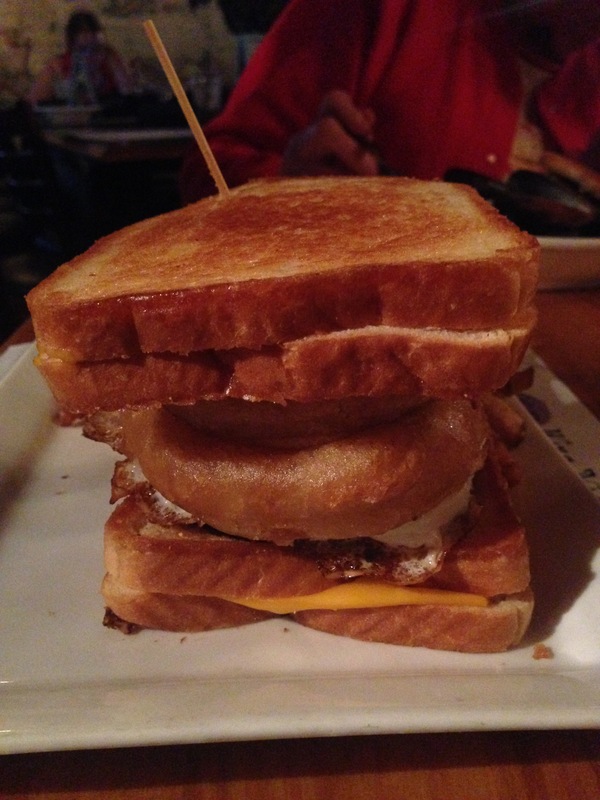 My brother had their famous burger, which comes with a grilled cheese on top. I didn’t try the burger because it was medium rare and I was sure I could still hear it mooing, but the grilled cheese was delicious. 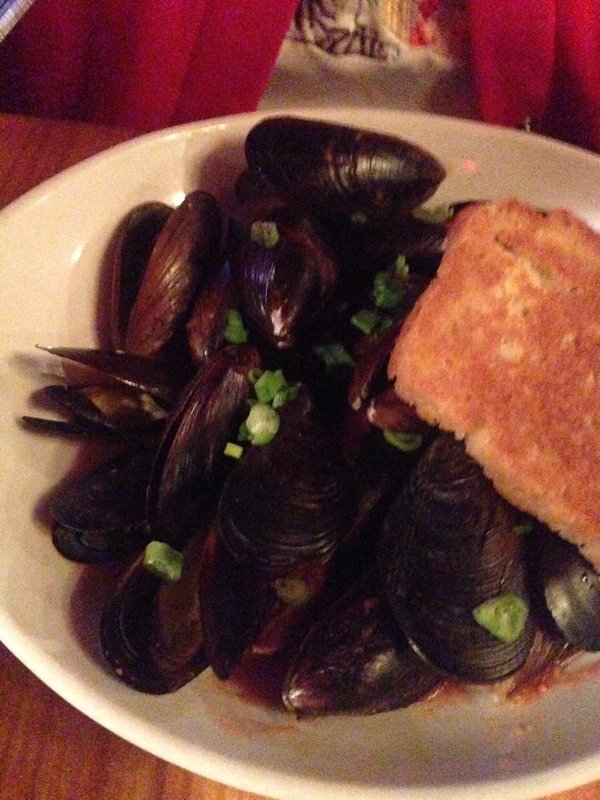 I tried a few of grandma’s mussels and mother’s seafood gumbo and they were pretty darn good. Audra ordered a steak, which I obviously didn’t try but she said it was really good. They have a huge selection of rum and you can choose which rum to try based on your tastes. They have light flights, dark fights, spicy flights, etc. I didn’t have any because I’m not much of a liquor drinker, but Steven and Audra said they are all pretty good, with the exception of the light rum flight. The night we were there was also karaoke and it was pretty busy and super loud. We waited for what seemed like forever to even order our drinks and our appetizer came out after our meals. It was so loud inside that we really couldn’t talk to each other. 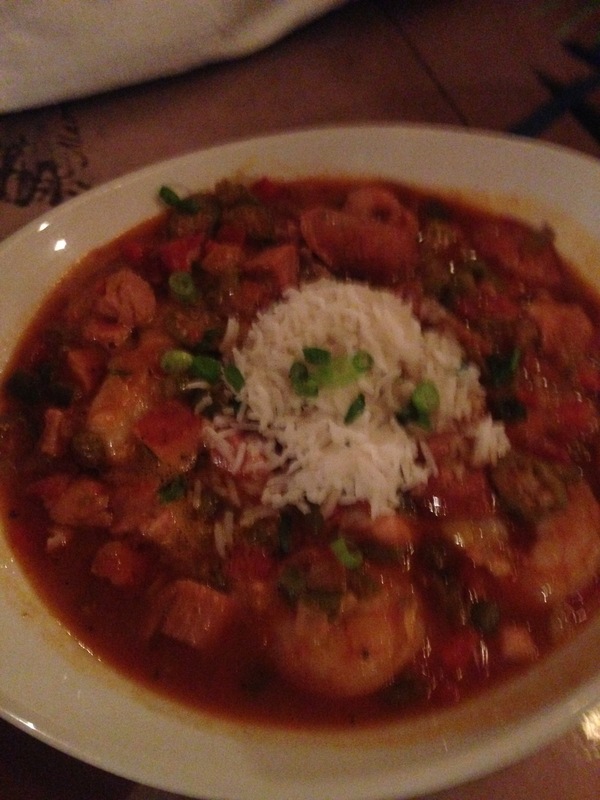 Although the food was really good I don’t think I’ll go back there, but I’m glad I gave the pirate bar a try.